Im into St. Francis of Assisi, ok? I'm pretty sure my priest thinks I have the hots for him. Ok, laugh now, but I seriously called my therapist in New York and told her that we needed an emergency phone sesh because it really is that serious. It's gotta be sinful, right? To have your priest thinking that you're into him? He's obviously reporting this information to God, and when I get to Heaven, and put in the request for that seafront property that I've been coveting (coveting- whoops) in Cuba, Gods gonna be all like, "You're gonna have to settle for Miami because remember the feast for St. Francis of Assisi year 2014, you squealed in front of your priest and, there's no squealing in Christianity." But see, that's the thing, it isn't about the priest, I squealed for St. Francis. Truth be told, I have the hots for San Fran. He and I have been going strong for about seven years- ever since I realized that he had the power to commune with the animals-and HELLO! Everyone knows that my Disney prince is Bambi's Dad so San Fran and I are obviously meant to be! But when I got excited (when I squealed) about the fact that my church was having a celebration for the Feast Day of St. Francis of Assisi, my priest got all weird on me. He seriously walked away from the booth upon my discovery that Beirut (my guinea pig) was going to be baptized and um, he was the one in charge of the booth. So what do I do, stop squealing? Get over St. Francis? 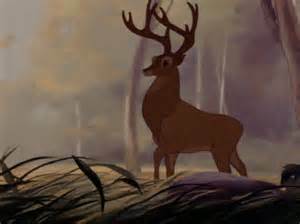 In the name of Bambi's dad, HELP! My NYC therapist thinks I need to balance out my reactions. She thinks my bubbly personality (my squealing) attracts the wrong kind of attention, and gives people (and priests) the wrong impressions. But will I lose a certain part of myself, if I stop being so bubbly? Will it cost me part of my personality? Where is the balance between reacting and over-reacting? I'm participating in a little experiment and this experiment is called, squeal internally, but not externally. I don't have to limit my internal reaction of excitement at Beirut's baptism (OMG BEIRUT WAS BAPTIZED LETS LET THE WHOLE WORLD KNOW THAT MY GUINEA PIG WAS SAVED AND OMG OMG OMG) but, I can keep that external reaction to myself. 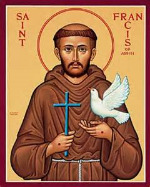 Besides, Gods probably not gonna be too happy when he finds out I've been pining over St. Francis. He'll probably downgrade my property in Miami or worse, banish me to Brooklyn. The 60-year-old Libra is on the prowl and apparently, hes really into Aquarians in Aircasts. If you are not familiar with the 60-year-old Libra, let me give a little background. He's that guy who seems oh-so-balanced at life. He's got the job, got the wife, got the kids and the two cars in the two-car garage. But on the sidewalk, he hits on you. He calls you good lookin' and tells you "I got this" when you go out to dinner with choir after rehearsal. We all know him-don't we? But what we didn't know is that the 60 year-old Libra has an Aircast fetish. Now, the Aircast is 'bout the size of one of those, medium heighted Uggs, only it does not come with sequence and there are no fancy colors. It looks more like a boot that you would use if you had the time to walk on the moon but seriously, who has that kind of time? The Aircast is made for people with foot injuries and if you read Dreamgrl's latest post, I am a full-time wearer of the Aircast. And upon receiving full-time Aircast wearer status, I noticed the new phenomenon: the Aircast festish--it's a thing. I obviously get the whole, "oh! what happened to your foot?" cardboard coffee cup conversation after the 11:00 mass. And I totally feel your forty-two minute ankle surgery monologue. Every time I see someone in a splint or a wheelchair, I feel an instant connection too! But the, "I hope you sent that boy to the hospital" line when you're over by the salad bar at Harris Teeter, and the, "better luck next time" comment as you pass me at Whole Foods. I'm not down, Sir. I'm really not down. And, "better luck next time"-- what does that even mean?!? You are a 60-year-old Libra and I am wearing an Aircast on my right foot. In what universe does that mean we have something to talk about? Would you talk to me about my shoes if I were wearing Nikes or flip flops? Would you be like that 60-year-old Libra professor that I had in college, who sent me links to the high heels that he thought I might like? Listen Sir, the only real shoes I'm interested in talking about are the ruby slippers, and they're on display at the Smithsonian. So if you don't mind, my Aircast and I are going to be on our way and I have news for you: I get weaned outta this thing on Wednesday. So my right foot hurts. And I got news for you: my right foots been hurtin’ since about Aug 1. It’s the top of the foot, really. That space right between my big toe and second toe, where every time I push my foot to the pavement I get this piercing pain that shoots up my leg and makes me want to sit down and die. But did I sit down, Reader? Why no, I didn’t. I did what I always did: I danced. It was the Bachata Congress. Held every August for the past ten years, it’s a four day festival at the Washington Hilton Hotel, that brings together some of the best bachata dancers in the world. There are workshops during the day that range from African dance to Ladies’ bachata styling and then about ten different ballrooms all night long. It’s a dancer’s dream—and after leaving Manhattan, I felt like I needed a little pick me up. So I went, and got picked up. I got spun and dipped and lifted. I started dancing at 11 pm and stayed until the sun was rising East of Dupont Circle. And the next day, I died. It’s no secret that the body is wise. It knows better than we do what it wants and needs and pain is a warning sign that something is wrong. I thought I could outsmart the pain- I thought that if I just kept dancing, the pain would eventually go away and I would be able to carry on and dance as usual. But it didn’t go like that. After my all night dance-capade, I ended up in two podiatrists’ offices in the span of three days. Why two? Because I wasn’t going to trust the first guy who told me that I couldn’t dance for two months. He was obviously wrong and here was his kicker, "It's really not the end of the world if you can't dance." I’m sorry, get out of my face. So I moved onto the next guy. He was from New York, the Bronx actually, and since the Bronx used to be my beat, I decided that I could probably trust him. Plus he was just the cutest little man-he wore this headband with goggles on it to look at my X-Rays and he had a magazine with Jackie Kennedy on the cover. Obviously we could be friends. Could. Not. Hold. Back. The. Tears. I started going to the pool every day. And I didn’t even practice my aqua bachata, my water salsa, my pool dancing: I swam laps. And, I swim laps. I swim laps every day for at least an hour and swimming has completely changed my life. Maybe it’s the Aquarius in me, or maybe it’s that Freudian desire that we all want to be back in the womb, but water is calming. Water, is healing. I'm getting my boot off on Wednesday and I might just have the green light to go salsa dancing on Friday. But that stress fracture in my right foot turned out to be one of the greatest blessings of my life. It forced me to slow down it taught me once again, to swim. Never leave a fellow Redskins fan behind. Never utter Gus Frerotte’s name. When attending a Cowboys game in Dallas, identify yourself as a Redskins fan. Then fly home to Washington to tell the story. Never let the name controversy come between you and another Redskins fan. Do not sit in your seat and sulk. It draws attention to the fact that you might have doubts about winning. Draw attention to yourself, but in a the Redskins will win the Superbowl way. The Redskins will win the Superbowl. Always carry an extra Skins jersey for a friend. Blend in by wearing a pig’s snout. Whatever it takes to get the tickets, get the tickets. This includes Craigslist. This includes Stubhub. This includes sketchy drives through Anacostia to meet up with some guy named Earl. Avoid the nosebleed section. It’s for pussies. Be the life of your section. High five the kids behind you and give that man on the end a beer. Always come prepared. This does not include umbrellas. Don’t sing the second verse of Hail to the Redskins unless you know the words to the second verse of Hail to the Redskins. Know the second verse of Hail to the Redskins. Your favorite colors are burgundy and gold. Always know the up to date roster. Michael Westbrook no longer plays for us. Eagles fans are desperate. Console them. Ignore the missed field goal. That was your imagination. Do not engage with Ravens fans. They are evil. Ignore the fumble. That was your imagination. You believe in RG3. You believe in RG3. You believe in RG3. Ignore the sack. That was your imagination. If we lose, leave calmly. Do not run. Stop, look and listen. At FedEx field and, in life. So my kitchen lost its virginity last night. That's right folks, my kitchen had a virginity and now its gone. She lost it to a Cuban fried chicken: criolla a la frito, to be exact. With a side of arroz blanco and a peppery salad, my kitchen had the night of her life. She said it was a most pleasurable experience. The foreplay began around 3 in the afternoon, after a trip to Whole Foods to secure the goods- all of them bells and whistles (and garlic and orange juice and cayenne pepper) to let that pollo mari-nate. That pollo was marinating all afternoon. Marinating in some orange juice, bittered by the squeeze of a lemon, five cloves of garlic and more than a pinch-pinch of Kosher Salt. Marinating in plastic (because girl knew no other way not so sure she believes in them rubberz) in the cold of a new refrigerator. And after he was done, mari-nating, dripping, soaking wet, girl patted him dry and rolled him around in three cups of white flour and cayenne pepper. Then she done poured two inches of vegetable oil in a stained skillet and let that oil pop! before she put her, marinated pollo into it. And when she put him into it, put him into that stained skillet, she done turned him and turned him--gently at first because she was scared but then he started sizzlin', poppin', crackin' and pretty soon, there was oil all over the kitchen. He finished a crispy, golden brown and my kitchen said, she just can't wait to go back for more.